East Riding of Yorkshire Council County Hall Beverley East Riding of Yorkshire HU17 9BA Telephone 01482 887700 www.eastriding.gov.uk 1 Primary Behaviour. 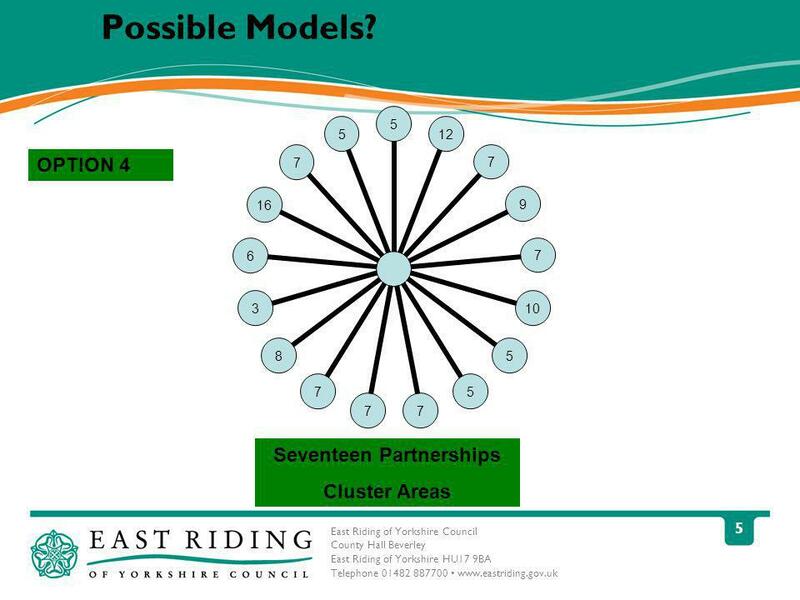 1 East Riding of Yorkshire Council County Hall Beverley East Riding of Yorkshire HU17 9BA Telephone 01482 887700 www.eastriding.gov.uk 1 Primary Behaviour & Attendance Partnerships How do we want to take the Primary Behaviour & Attendance Partnerships forward in the East Riding of Yorkshire? 8 East Riding of Yorkshire Council County Hall Beverley East Riding of Yorkshire HU17 9BA Telephone 01482 887700 www.eastriding.gov.uk 8 Group Activity What do you think the future model for the primary behaviour and attendance partnership should look like? Should there be a steering group? Who should sit on it? How often should the steering group/partnerships meet? 9 East Riding of Yorkshire Council County Hall Beverley East Riding of Yorkshire HU17 9BA Telephone 01482 887700 www.eastriding.gov.uk 9 Objectives 1.To understand the role of a Behaviour & Attendance Partnership. 2.To identify priorities for improving behaviour. 3.To identify priorities for improving attendance. 4.To agree the organisation and format of B&A partnerships. Download ppt "East Riding of Yorkshire Council County Hall Beverley East Riding of Yorkshire HU17 9BA Telephone 01482 887700 www.eastriding.gov.uk 1 Primary Behaviour." Air Quality Clean air is essential for life and helps us stay healthy The Council have a Special Team who help to protect the environment in the East Riding. East Riding of Yorkshire Council County Hall Beverley East Riding of Yorkshire HU17 9BA Telephone Foundation Learning. East Riding of Yorkshire Council County Hall Beverley East Riding of Yorkshire HU17 9BA Telephone ATTENDANCE ATTENDANCE. East Riding of Yorkshire Council County Hall Beverley East Riding of Yorkshire HU17 9BA Telephone Primary Behaviour. East Riding of Yorkshire Council County Hall Beverley East Riding of Yorkshire HU17 9BA Telephone Partnership Xchange. East Riding of Yorkshire Council County Hall Beverley East Riding of Yorkshire HU17 9BA Telephone Presentation by. International Inspiration. Indonesia: Linking Bali with Bala… Surabaya Jakarta South Sulawesi West Java. LEICESTERSHIRE COMMUNITY INITIATIVE ANDY ROBINSON ASSISTANT CHIEF EXECUTIVE : COMMUNITY PLANNING LEICESTERSHIRE COUNTY COUNCIL. Institutional Repositories: two consortial models Rachel Proudfoot, White Rose Consortium Rebecca Stockley, SHERPA-LEAP Consortium. GRAND Getting Real about Alcohol N Drugs Community responses to alcohol and drug issues Recovery Friendly Communities? Communities Sub-group and GRAND. Developing people, improving young lives NOT PROTECTIVELY MARKED Beyond Partnership Mark McKiernan Priorities for Partnerships 18 February 2010. 1 National Treatment Agency For External Use Organisational Chart.